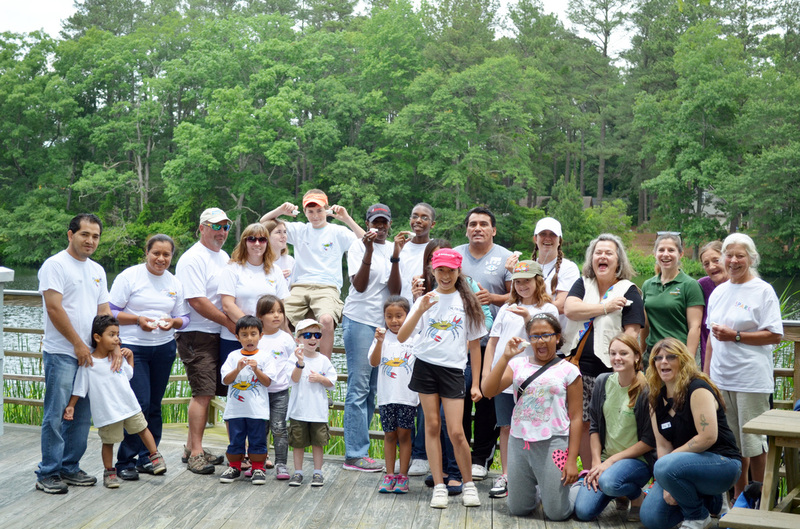 SPARK is a completely free program for families in Accomack County to learn and grow together through outdoor experiences. 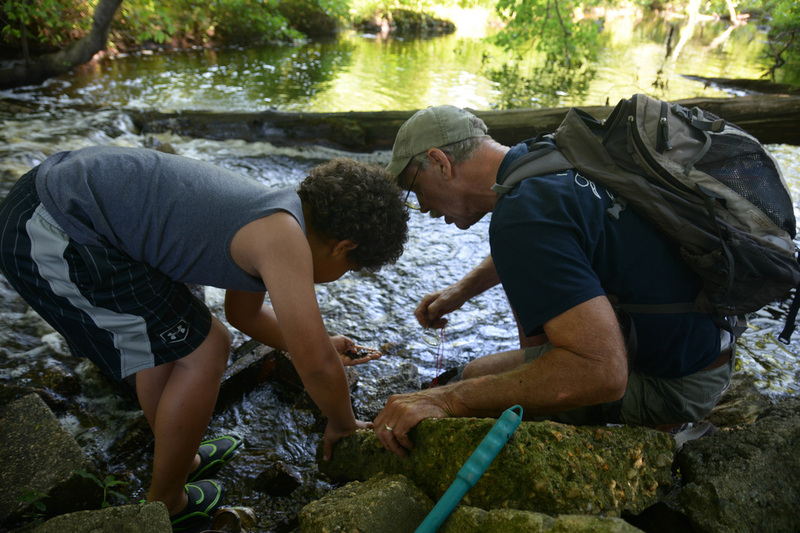 There are three tiers of the SPARK Program: SPARK Nature Detectives (families with children in PreK-5th grade) SPARK Creekwatchers (families with children in middle school), and SPARK Living Shoreline Team (families with children in high school). 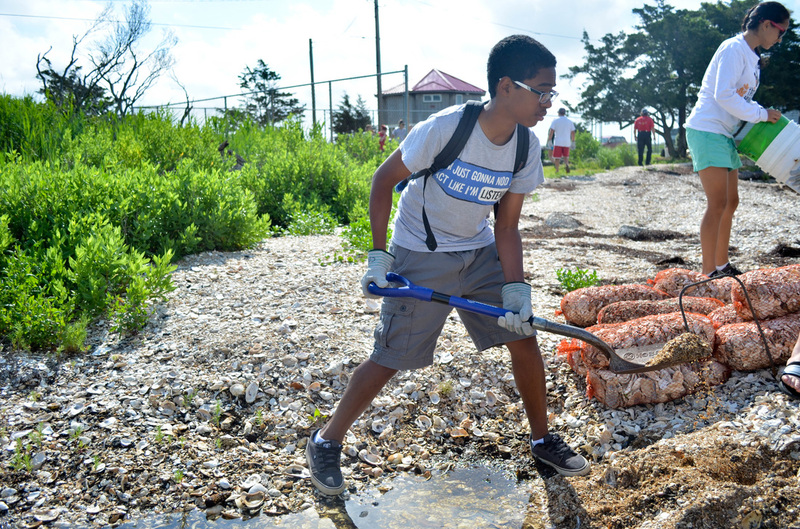 CBFS also offers an internship program for local high school teens during the summer called the Sea STAR Steward program. During all SPARK programs we welcome siblings of all ages, as we believe that learning as a family is a key component in building a well-rounded community. Our 2019 Program Schedule will be available soon. In the meantime, browse through last years activities. 2019's will likely be very similar! April 28th @ 10am OR April 29th at 1pm - SPARKY Farm The SPARKY Farm is home to Grace and Matt Cormans, the creators of the SPARK program! Come meet and learn about the neat animals that live here-baby bunnies, chickens, sheep, horses, cows, pigs, and more! Explore the farm and learn about SPARKY’s home. We will be meeting both Saturday and Sunday for this program, pick the day that works best for your family but don’t miss out! ​May 12th @ 10am - Wachapreague Marsh - The salt marsh can be found up and down the Eastern Shore, but have you ever taken a close look at it? The plants and animals that call this habitat home are pretty cool. When in Wachapreague we will investigate the salt marsh and look for arthropods at a local park that is perfect for a summertime picnic! ​June 9th @ 10am - Guard Shore - The weather is (hopefully) getting warmer, it’s time to hit the beach! There are amazing animals hidden everywhere under waves and today we are on a mission to find them all. Toes in the sand, sun in the sky, nature to explore-let’s go!! ​July 14th @ 10am - Meet at Chincoteague Bay Field Station - The plan for today is a secret, for now! August 11th @ 10am - Pocomoke River State Park Shad Landing - There’s a lot to see at Shad Landing from both the land and water. We will get our lifejackets and take a paddle (canoe/kayak) from Shad Landing, explore a nearby pond ecosystem, and enjoy an animal program with Pocomoke State Park rangers. School starts soon, get outside while you can! ​September 23rd @ 1:00pm - FREE Saxis fishing day with Eastern Shore Anglers Club - SPARK in September isn’t on its usual weekend because this month we are supporting a very important partner to CBFS and the SPARK Program. 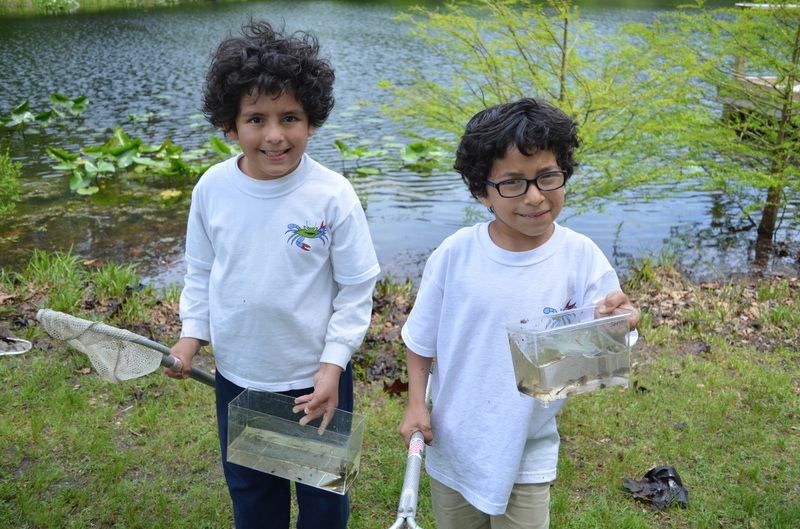 Every year the Eastern Shore Anglers Club raises money and donates it to Chincoteague Bay Field Station’s Kids to Camp Scholarship fund which allows local kids to attend summer camp at CBFS for a free or reduced cost! Come see what cool fish people catch in the waters near Saxis, the first 50 kids get a FREE fishing rod and the event is followed with a FREE cookout! ​October 13th @ 10am - Chincoteague Bay Field Station Open House - The field station will be opening up its lab doors and welcoming in the community for a first-hand look at what we do day to day. Come check out our tanks and learn about all the organisms we catch on our boats, enjoy an interpretive woods walk, participate in a shark dissection, or try the ancient art of gyotaku (fish printing)! ​November 10th @ 10am - Woods and Trails at Eastern Shore Community College - November is a perfect time to find a trail and enjoy the last of the fall colors. The Eastern Shore Community College has a beautiful mature pine forest and small trail system to discover. Enjoy the outdoors before the cold sets in and craft up a birdfeeder to bring birds to your yard all winter long! ​​December 8th @ 10am - SPARK Holiday Party at Eastern Shore Community College - Enjoying nature doesn’t have to end just because it’s cold out! Today is all about celebrating the holidays and enjoying the friends and memories we have made throughout the year. Enjoy games and crafts with your family and learn different ways to keep your family enjoying nature all winter long. Santa will be making an appearance too!! or by calling (757) 824-5636. SPARK, Shore People Advancing Readiness for Knowledge, is an innovative, experiential family learning program based on nature and the environment. The program’s underlying philosophy is that learning together as a family outdoors can be fun and purposeful for all involved.